Hello friends and thanks for listening to this week’s Homebrew Happy Hour! Also, thanks for all of your feedback! We have had LOTS of emails with questions directed towards our frequent guest, James Carlson, so we brought him back for this episode! Let’s be real, James is going to be a frequent guest on our Q&A episodes due to the fantastic response we’ve had! 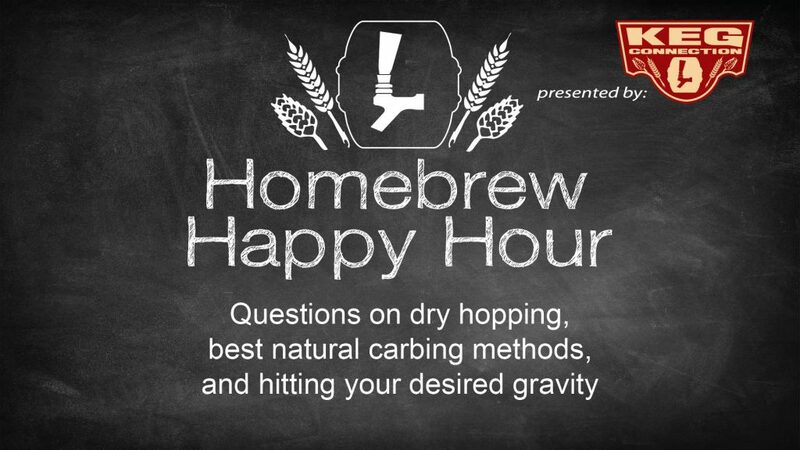 On today’s show, we address questions on dry hopping, the ‘best’ natural carbing methods, and hitting your desired gravity.